As a full-service law firm, we offer legal services in a wide scope of practice areas, ranging from criminal law, DUI, traffic violations, family law and personal injury to estate planning and more. We pride ourselves on the strong reputation that we have developed in the highly competitive Maryland legal community as knowledgeable, ethical, and hard-working lawyers. Equally as important, we are driven by our desire to achieve that same reputation with our clients, whether you are a returning client looking at our website for the first time, or a prospective client searching the myriad of law firm websites available, you can rest assured you have found lawyers motivated to give you the representation you need. 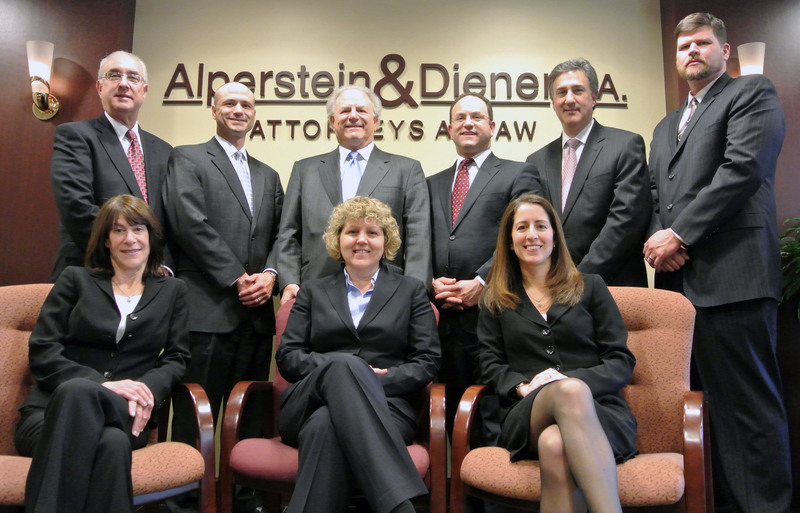 Our long-standing collective experience, spanning decades, has underpinned many recognitions, including accomplishments such as AV ratings by Martindale-Hubbell and selection into Top Attorneys of Maryland in Super Lawyers magazine. Complete the sign up form included here to ensure you receive our monthly newsletter. Please provide some additional details about your matter. Other or "not sure" Other or "not sure"
©2019 Alperstein & Diener, P.A.. All Rights Reserved.